Collect altimeter, win competitions, have fun. 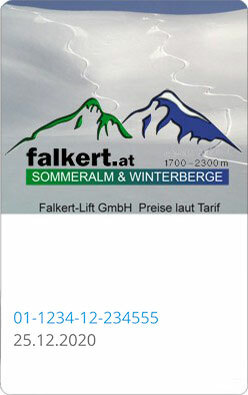 Enter your ski ticket number to get the infos about your skiing day. Skiline is the new community for all ski enthusiasts. Registration is for free. Please enter the number of your ski pass below. You find this number at the printed front of your ski pass. The type of the number can vary depending on the card. Please choose the correct type. Please enter the date of your skiing day here! We are requesting the altimeters of your ski pass right now. We are requesting the altimeters of your ski pass right now. In some cases this query could take a couple of minutes. Especially between 4:00 p.m. and 5:00 p.m. when ski resorts are closing their cash accounts, problems could occur. This is my unused skipass, I want to enter it before skiing. Your personal details will be passed onto the ski resort when you submit your ticket number and used for marketing purposes (e.g. newsletters). Enter your E-Mail address and we will send you an E-Mail which contains a link. Klick on that link and set a new password!